Toronto Zine Library - ZineWiki - the history and culture of zines, independent media and the small press. 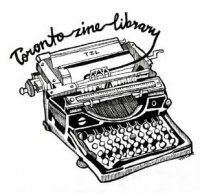 Toronto Zine Library is a library devoted to zines located in Toronto. Ontario, Canada. The Toronto Zine Library opened in 2005. It is located at 292 Brunswick Ave., 2nd Floor. Their webpage says, "The Toronto Zine Library holds 3,000+ catalogued zines (printed matter of unique and independently made forms) from the personal to the political, and the local to the international... and everything in between. It is run by a team of volunteers." This page was last modified on 10 February 2019, at 13:52.